Wondering what the best companies are to work for as a woman of color Well, Working Mother has just named the best companies for multicultural women. And the Top 10 are: Accenture, IBM, KPMG, Procter & Gamble Verizon, General Motors, JP Morgan Chase, ADP, State Farm Insurance and Walmart. Although there still needs to be work on diversifying staffs, multicultural women comprise 23 percent of the Best Companies, and this was an increase of 1 percentage point from 2017.” While 96 percent of the Best Companies have recruiting programs targeted at Black and Hispanic women, only 88 percent have programs for Asian-American women,” according to Working Mother’s “Best Companies for Multicultural Women” report. 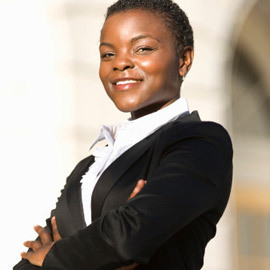 Still, not much progress has been made for women of color in moving into the executive suites. “Since 2009, only 4 percent of multicultural women have reached the level of corporate executive, which has remained steady over the last five years. There was only 5 percent of multicultural women at the senior manager level in 2009, which has grown to 9 percent today,” the Working Mother report found. At the manager level, there hasn’t been much movement at all–the percentages have remained at 14 percent for the last seven years, having started at 12 percent in 2009. One of the keys to moving up in the corporate world is having mentors. But while 31 percent of all women participate in formal mentoring, only 21 percent of Black women take part.